Tom Runnels art exhibit is now open at the Bollinger County Museum of Natural History in Marble Hill. Tom Runnels was a local artist, writer, and sculptor. 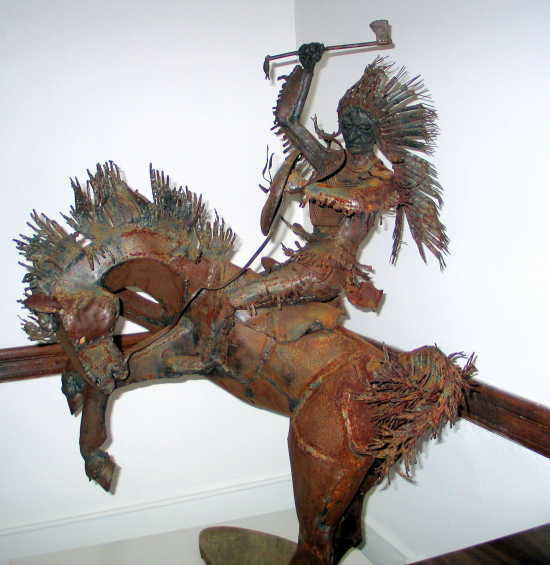 Metal sculptures, paintings, and prints by Tom Runnels will be featured in this exhibit. Visit the Bollinger County Museum of Natural History "Where the Past Springs to Life" See Dinosaur fossils and models, Civil War, Native American, Ice Age, regional history exhibits, discover & play area with children's fossil dig, dinosaur puzzles, and more fun activities. Museum Hours: Thursday, Friday, and Saturday, Noon - 4:30 p.m.
Museum Location: 207 Mayfield Drive, Marble Hill, MO. Admission to the museum: Adults $5 each and 17 years and under $2 each.